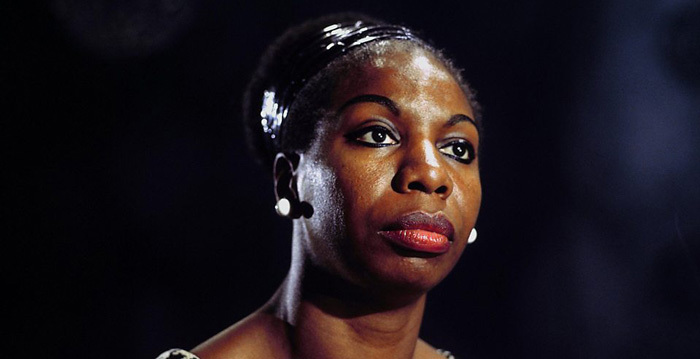 Nina Simone was an American singer-songwriter, musician and civil rights activist. Her unique singing style drew from a wide variety of influences and she has achieved success in a wide range of styles including classical, folk, jazz, blues, R&B, gospel, and pop. Born “Eunice Kathleen Waymon” in 1933 in Tryon, North Carolina to a poor family, Nina Simone learnt to play piano when she was only three years old. She started performing at a local church, but her concert debut came at age twelve. Nina Simone wanted to be the first black woman concert pianist in history. The American society in those days couldn’t accept a black woman as a concert pianist and, during her debut performance, her parents were pushed to the back of the hall to make way for white people. This event became one of the reasons of her involvement in the civil rights and the black power movement. Her work is frequently cited as anthem of these movements. She adopted the stage name “Nina Simone” in 1954. Her rendering of “I Loves You, Porgy” from Gershwin’s Porgy and Bess became a huge success in the United States in 1958. Simone wrote “Mississippi Goddam” about the assassination of Medgar Evers and the attack on a Baptist church in Alabama where four children were killed and many injured in a bomb blast. The song, along with “Four Women”, “Old Jim Crow”, “Backlash Blues” and “To Be Young, Gifted and Black”, became an anthem of civil rights movement. Simone often introduced it as a show tune for a show that hadn’t yet been written. Simone recorded more than 40 albums over the course of her five-decade career and her unique fusion of gospel and pop songs with classical music earned her the title “High Priestess of Soul” and significantly impacted the fight for equal rights in the United States. A fifteen-time Grammy Award nominee, Nina Simone finally won a Grammy Hall of Fame Award in 2000 for her rendition of “I Loves You, Porgy”. She has received three honorary degrees from the University of Massachusetts Amherst, Malcolm X College, and the Curtis Institute. Simone was inducted into the North Carolina Music Hall of Fame in 2009. Nina Simone had a persistent reputation for nonconformity and a turbulent personal life. She tried to kill a record company executive in 1985 whom she blamed of stealing royalties. Simone married Don Ross in 1985, but the marriage soon ended in a divorce. In 1961, she married a New York police detective, Andrew Stroud, who later became her manager.